Lens Description: Ultra slim and compact, the new EF-M 22mm f/2 STM is the EOS M Digital Camera’s moderate wide-angle lens that’s small and light enough to carry everywhere. Its bright f/2.0 lens aperture works well with the EOS M Digital Camera’s large sensor to provide exceptional low-light performance, as well as create beautiful background blur in portraits. 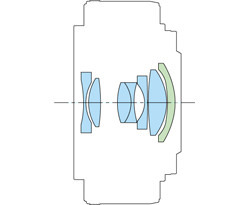 An aspheric lens element delivers high resolution and high contrast. 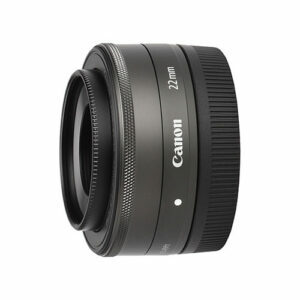 For moviemakers, the EF-M 22mm f/2 STM utilizes a built-in stepping motor to provide smooth and quiet continuous autofocus when shooting video with the Canon EOS M Digital Camera. A circular aperture (7 blades) delivers soft-focus backgrounds and a short minimum focusing distance of only 5.9 inches (0.15 meters) allows you to get closer to your subjects.